Prepared dinners are convenient, scoop and serve, pre-ground, and in most cases complete meals with, organ meat, tripe, and kelp for a balanced dinner. Available in 1lb, 2lb, and 4lb re-sealable containers, 1lb and 5lb blocks, and 4oz, 5oz, and 8 oz. patties. Bulk options are also available for large or multi-dog households. 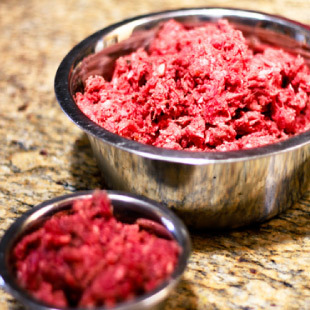 These products are available in conveniently sized vac-seal packaging or stackable containers that save freezer space, come in a variety of protein sources, and offer portion sizes that make it cost effective for all size pets. Some manufacturers, for example Tollden Farms and Healthy Paws Big Box Dinners have pre-added fish oil, and kelp making it simple to serve a complete balanced species appropriate raw food diet. We have two freezers dedicated to Raw Meaty Bones featuring duck frames, wings, necks and feet, turkey necks, chicken backs and necks. “Plaque is constantly accumulating in your pet’s mouth. Accumulation of plaque rapidly becomes mineralized to form calculus. Conditions suitable for the growth of anaerobes exist in plaque after three to four days of maturation. Periodontal disease is the dependable consequence of plaque accumulation and mineralization. More than 85% dogs and cats over the age of 3 years are suffering from periodontal disease to a degree that would benefit from treatment. Research indicates that dogs with periodontal disease may develop further problems in heart, kidneys or bone marrow. The scraping, tearing and crunching of meat and bone is the natural tooth brush of the carnivore. 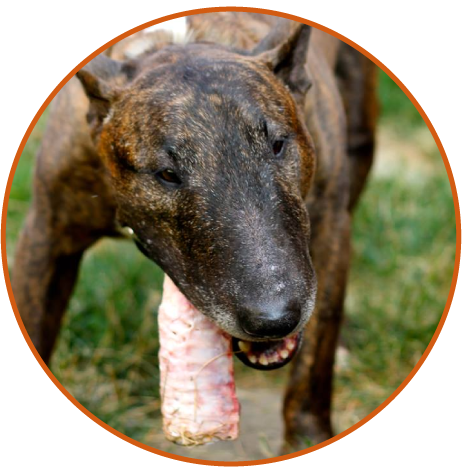 Domestic Carnivore is pleased to offer dehydrated and freeze-dried treats with such favorites as beef liver, beef lung, chicken feet, duck feet, duck necks, pig snouts and more. 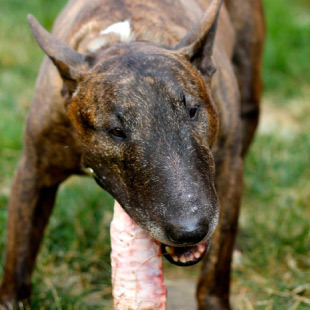 We also carry Bullwrinkles, Himalayan yak chews, and ZiwiPeak deer shank bones for a good chew. Our bulk dehydrated baskets are overflowing with chicken and duck feet, duck wings, rabbit ears, and turkey tips, allowing you to mix it up or try various treats. Freeze-drying works by freezing the material and then reducing the surrounding pressure to allow the frozen water in the material to evaporate. 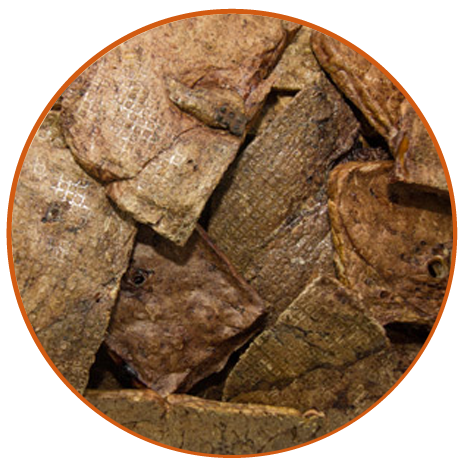 Nature’s Kitchen brand uses a zero heat freeze drying process. 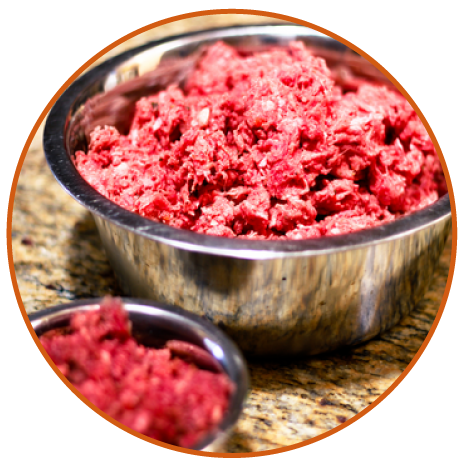 This process takes longer but allows the meat to retain the same nutritional value as it had in its raw state. The dehydration process uses circulation of low heat to slowly remove moisture. 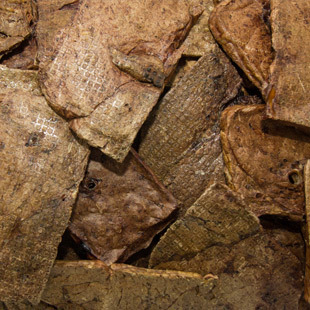 Domestic Carnivore’s own brand of dehydrated treats support local farmers and the community. Blue Dane is one of the first companies to use an air drying method that dates back 450 years. This method creates a tough outer shell and locks in the natural flavours and original proteins of the meat. Featuring exotic proteins kangaroo the treats are cut small for all size pets. 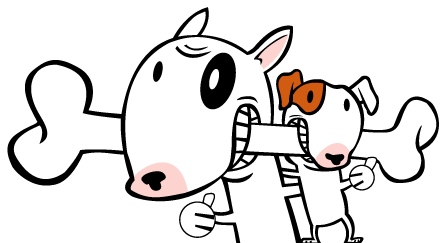 Slobber’s brand cookies are available if your friend prefers a crunchy treat. Available in Coconut Bananza, Apple Pie, Pumpkin Love, and Peanut Butter Bananza. *Slobber’s treats are grain free and every ingredient has been verified organic by ECOCERT Canada.